The program allows you to find duplicate images on a given mask or file properties. For example, you can search for duplicate images of the same name, size, or extension. At the end of duplicate images search process, the program displays a list of found copies of the pictures, in which the user must choose to delete the duplicates. 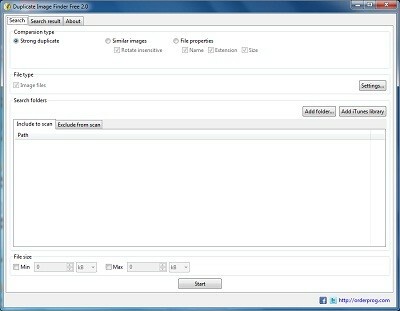 It is possible to automatically select the duplicate, and the ability to preview images from the list of found duplicates.